Thus, CS6 was written before and is not supported on newer operating systems, meaning that officially Windows 8.1 and Mac OSX v. 10.9 (“Mavericks”) are the latest compatible OS versions. Shortly thereafter, in September 2015, Adobe stopped selling Creative Suite 6 online on their website… Essentially the reason was because the newer CC rapidly grew and took over. Some CS6 editions could still be purchased from the company after that point, although only by calling an Adobe call center directly and only for older operating systems. Looking for Creative Suite 6? The latest versions of all your favorite apps like Photoshop and Illustrator are only available with a Creative Cloud membership. You’ll also get ongoing product upgrades, hundreds of step-by-step tutorials, built-in design templates, your own portfolio website, and more. So really the only path forward for Adobe creative products now is CC, which are considered better tools anyway, or you can downgrade them to use CS6 instead – because Creative Cloud subscribers can choose either or both versions. Many of the Creative Cloud desktop applications let you export files to the Creative Suite 6 version of that same application. However, note that new features added to the desktop applications after CS6 may not be supported in the exported file, or by the CS6 application. Finally, while Adobe no longer sells CS6 in any way, some readers may ask if is it still possible to find it secondhand on other sites like eBay or Amazon? The answer is yes, perhaps – but it doesn’t matter, because even if you could, you wouldn’t want to try buying it from those places. Bottom line: Last year we stopped recommending CS6 as a good or viable option going forward, as it is simply not current or future-proof… And Adobe has finally closed the last door on this. But now you know the full story, and why. Do you have any further questions about CS6 or CC? Just ask them below and we’ll get you answers fast! I just purchased a new laptop and bought a subscription to the adobe cc suite. I have already installed CS4 and it runs, but I do want to install the new cloud suite. However I would like to keep my Fireworks that is already installed. How do I accomplish this? I still have the CS4 discs and serial number. Hi Pam, you can just download & install whichever CC tools from the Creative Cloud that you want, and it won’t overwrite any existing apps on your machine. In other words, Fireworks won’t go anywhere unless you explicitly uninstall it. Does my computer have to be online to use adobe photoshop CC ? My computer was purchased in 2010 but as far as computers go at that time, it was state-of-the-art, excellent graphics and so forth. Fast forward to 2018: it just got fixed at the shop and I’ll be bringing it home soon. The issue is the hard drive – it’s about to go belly up. So I basically need to get my photos off and move on. However, around that same time, I purchased creative suite CS4 but mainly just used bridge, Photoshop and acrobat. I have a laptop that has windows 10 but CS4 seems not to want to install on it. I paid a crap ton of money for that software and did not expect to have to ever have to purchase more products. So your site tells me that even CS6 is not usually working with windows 10 and you don’t even sell it any more. Well bully for you for screwing people out of their software that they spent a small fortune on. So what, now i can spend more money and another small fortune yearly with small payments monthly for the same thing with updates. So basically I am screwed. thank you so much for wasting the 600.00 I spent. Even my cheap car that I spent less on than the software and is older than your software is lasting longer than your software. So now people are giving you a small fortune a little at a time and your making bank will good for you while the rest of us get taken. I was so up set that i forgot to add my question with the message i just sent. why cant adobe offer free downloads for those who have product keys? so it will work with windows 10 and so I don’t get screwed out of the six hundred or so I paid for this program?? Hello Tara, we were wondering if there was a question in there somewhere. CS4 is ten-year-old software. Not sure of any company who still supports and makes changes to technology that came out 10 years ago. In fact, you make an interesting analogy about the cars. Your older car may still work, but that’s because the infrastructure that it depends on is stable and has not significantly changed over that time. However, imagine if the gas that it ran on changed every single year, and you demanded that the car manufacturer make internal changes to your existing vehicle so that it would continue to run on incompatible new gas formulations. That is basically the scenario with something like CS4 running on much newer releases of of Windows or macOS. These modern operating systems have removed support for older technologies and programming interfaces (APIs). Programs that were written back in 2008 relying on those would have no way to know or anticipate this. Thus, the fault for pulling the rug out lies more with Apple (particularly) and Microsoft. And as far as the evolution of newer, advanced capabilities within an application, powerful new software features are often only made possible by using the latest hardware architecture and instruction sets. Computers and operating systems are growing more advanced all the time, and it would be retrograde for new program releases to avoid using any recent platform improvements or optimizations. The only way is to keep up with this when using sophisticated application software is to keep it relatively current with upgrades. Either that, or you would need to maintain a computer using a prior operating system release that fully supported that older software. In other words, you need to match the age of the o/s with the age of the application. That said, you can still try googling the name of your Adobe release and operating system version and see if other customers have had any success getting it to work. Sorry we can’t be of more assistance than that, but hope that helps at least explain the situation a bit better. PS – For more discussion on this topic, please see the earlier comment here. @ProDesignTools Funny all this stuff of CS products only working on older OS. My CS5 Master collection runs completely fine under my Windows 10 Pro v1803. I despise subscription software and abhor any company doing so. It’s shame, as I would have been perfectly happy upgrading mine to CS6 Master collection on my PC, but for Adobe greedy money-grubbing pockets. It makes me want to switch to Corel products and be done with Adobe for good. As soon as you stop paying the CC subscription to ADOBE, you lose all ability to use those tools and they become worthless, useless programs on your PC. Thanks for sharing your thoughts and of course you’re entitled to your opinion. But it’s hard to dispute that Adobe’s switching to subscription was ahead of the curve of so many other companies doing it since, and it has been a successful move for them and also greatly expanded the customer and user base of their software. Obviously not everyone is on board with it, but on the whole, Adobe’s creative products are more popular and widely-adopted than they have ever been in their history. So despite some skeptics and critics, ultimately the proof has been in the pudding. Anyway, as pointed out in the comments above, this train has left the station a long time ago and the company is clearly not looking back. What we would suggest is using the Creative Cloud Direct Download Links, which can be helpful in a situation like yours where you might want to download on one system (with a fast/unlimited Internet connection, like at your public Library or an Internet café or a friend’s or relative’s house) but then install on another machine (like your home computer or laptop). There you will find the standalone installer(s) for the CC applications you choose… Then you can copy or move those over to another system, via whatever means you wish (USB/flash drive, CD/DVD media, etc). I have CS4, and need to update my laptop, Current laptop is Win 8. Can CS4 be installed on Win 10? I have the original discs and serial numbers. Will Adobe let me install CS4 on Windows 10? Hey Jo, CS4 is unsupported so it’s going to be hit or miss. We’ve heard stories all over the map, from “it worked for me” to “no luck at all.” So your mileage may vary. Is Creative Suite 4 Compatible with Windows 10? Be sure to deactivate all your installations of CS4 before you attempt to install on Windows 10. And please keep in mind that when owners of old programs have problems with Win 10, it’s not Adobe’s fault… Adobe did not change your old tools to make them stop working… Microsoft and (especially) Apple changed their operating systems and that is why your old program may not work, not because of anything Adobe did… Also, every time Microsoft or Apple issues a Windows or macOS update, there is the risk that an old program that was initially functional will then stop working… Bottom line, old programs generally require a matching (and supported) old operating system of the same era. I purchased Adobe Creative Suite 6 & photoshop 7 a few years ago (full set, not CC) as a student. That iMac is a brick and purchased the new iMac High Sierra 10.13.6. It was only installed on that one computer, but need to install on this new one. Will this work? should I contact adobe and remove the old computer so I can add the other computer? I am no longer a student… any help would be appreciated. Never had a adobe ID that I can recall. If you had CS6, then you had an Adobe ID – because the you wouldn’t have been able to use or log into the CS6 applications without one. 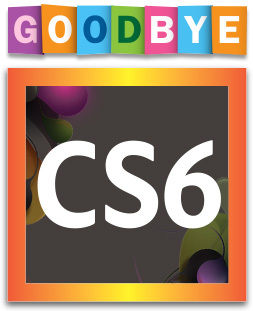 But as of 2018, adobe stopped supporting cs6 suites. i enjoyed using cs6 photoshop trial than cc. or can i just put in the license and use it afterwards. For all those that still use installed software over online cloud based, you only need to get a Virtual machine on your system with an old operating system of Windows. This will ensure that your new computer will operate properly without having issues with the old CS4,5,6 applications. I am also interested in this question. I’d prefer to invest into the software once, rather than monthly. Still running Windows 7, just as most of the industry does. Anyone tried to purchase and install CS6 Photoshop or Master Suite in 2018? How did it go for you, Ruan? Even realistic-looking boxed software or hardcopy discs in seemingly-original packaging can easily be fake (see what the FBI says about this here) – and it’s often extremely difficult to tell the difference from the outside of the packaging, or even from the inside. In addition, Windows 7 is no longer used by “most of the industry” – it’s a ten-year-old operating system with only one year of any support left, and most professionals have moved on to Windows 10. I also have several versions of the older creative suites, and now I am forced to upgrade to the cloud version. That is total crap! My older machines run other devices that have no upgrade options and will not function with cloud versions. My business is dependent on these older versions of the Adobe software. I have tried to locate older Adobe software or buy it from other sources with no luck. Well, Adobe, what does someone running a business that depends on some older equipment to operate now do with no working options? This is outrageous, especially considering that I have purchased three separate Adobe Creative Suite Master Collections. All of which no longer function on the current or even older computers as the activation codes are no longer available and my attempts to contact Adobe and resolve this have met with total failure. Time to stop buying Adobe and allowing an alternate software company a chance to do better. I feel this is a money grab, although not in one upfront lump, but now even more over a period of time. I know that CC comes with updates, but I was not needing the constant upgrades or updates. Shame on you and I will speak truthfully about your company to all who are affected. A disgusting turn of events and a gross failure of Adobe to support the loyal customers who have paid for the product previously. Not really sure what happened here; it’s not clear at all from your comments… Why exactly are you no longer able to run the older versions of Creative Suite on your older systems? What do you mean by, “the activation codes are no longer available”? And which versions of CS Master Collection are you talking about here? Please give more details if you’d like us to be able to help you. So long as nothing changes with your PC/Mac platform (which is how it sounds with your “older equipment”), and your license keys are legal (unclear), then you should be able to continue to run the same product(s) on the same computer(s) indefinitely. If not, what happened exactly – and how is it Adobe’s fault? And why do you say you are unable to contact the company successfully? CS6 products actually do work with Windows 10, and I have a few running successfully. There are some minor work-arounds you must do though. For example, for Photoshop CS6 I have to set the shortcut to run as administrator, because Windows 10 no longer allows Photoshop to create scratch disks on the root of my C: drive. Running as administrator allows the software to function as it should. Adobe Premiere Pro CS6 also functions, but during installation I had to not install the sonic CD writing drivers. With older versions of Windows 10, they would cause the operating system to fail to start up. However, you may deselect these drivers during installation. Honestly, with Photoshop CS6, I really do not need any of the newer features Adobe is introducing. It was a complete product for my needs, and I cannot ask for anything additional. I have a similar frustration. I purchased CS6 years ago. When I tried to load the disc on my new computer last year WITH the product key on the case, I get a message that says the key is no longer being supported and call for updated product key. When I called customer Service for an updated key, I cannot reach a human, but a message that tells me no support is available for my product. I paid about $1200 for this software that I can’t use and I’m quite pissed about it. I don’t need support using the software, I need a new product key since Adobe deactivated the key I purchased. I want to talk to a human. Well, another anonymous comment with few specific details… While it’s true that CS6 is generally no longer supported, it is untrue that issues with genuine product activation of validly-purchased licenses are unsupported. So something’s not right there. 3. What computer platform are you on (hardware & operating system), and have you updated or changed that recently? 4. Do you have any proof of purchase for the $1,200 you paid? Please be as precise as you can, and we can help you further. Thanks. I have the full Adobe software, version cs6 installed on my Mac…and I also subscribe to the cloud photo service (Photoshop, Lightroom). I use the old InDesign twice a year for two specific annual projects… then don’t touch it again. I used to be able to sign out of the cloud service and then open up the version 6 InDesign. However, this week, I tried to open InDesign and received an Adobe message that my operating system won’t support the older software (Mac Mojave V 10.14.2) and I will now need to buy the subscription software. Does anyone know of a work around for this issue? I hate to spend the monthly money for one additional program that gets used twice a year. Can you post here the exact text of the message you received, word-for-word? And/or try googling that, which will also often turn up a solution. I have purchased over the years various versions of Adobe CS suite software. These include CS, CS3 and CS6. All of these were registered with Adobe with product keys saved to my Adobe account on the Adobe website. I have continued to use all these products at various times on older computers with windows XP and 7 installed with no issues until now. My CS6 is installed on a windows 10 machine and has been working ok until now. I am getting messages stating that my CS6 is an illegal version but it is not, it is licenced. This message also infers that the product will be disabled which may also affect the operation of my computer. This is most disconcerting. My CS6 is licensed and registered with Adobe and was purchased from an authorized Adobe reseller. I checked on the Adobe website for my licence keys and found that they had all been deleted. I have contacted Adobe and was basically fobbed off by the customer service rep – he told me i must have trial version; interesting since i purchased CS6 in 2015 and what about my CS3. I understand that Adobe are no longer supporting CS6, but i am happy to not have support as i am a casual user and can’t currently justify the upgrade to the current subscription version. I still wish to continue to use my CS3 and CS6, so what can I do? Adobe appears to be not interested in us little people who have supported them and spent our hard-earned money purchasing their products. If this is their attitude, i will have no option but to go elsewhere for my future photo, web, and video software needs. It appears that Adobe is holding their CS6 users to ransom by restricting their continued use of this product. If this is not their intent, then Adobe needs to remove these messages and threats to disable use. Adobe should also inform their customer support staff to be more understanding of customer issues. 1. You said you bought CS6 from an authorized Adobe reseller. Which one exactly (name), and do you still have the receipt? Was it a physical store, or an online website? 2. How do you know for sure that the reseller was Adobe-certified and legitimate? Did you happen to check against Adobe’s official reseller list? I purchased from Cubox, which at the time was an ADOBE distributor – i bought it as a download, with CS3 i have the disk box. Also my software was working and updating no problem when Adobe were still supporting it. As I had to put in my registration key for it to be upgraded, this was ok till Adobe decided not to support CS6 and wanted those who had purchased it to go on a subscription. At the time of purchase, i contacted Adobe and the product was registered and updated regularly. I do have the receipt of purchase. Cubox no longer sell Adobe products. I have emails from them when i asked the question about why Adobe says my product is a illegal? Cubox said it was a fully-authorized product from Adobe. When I spoke to Adobe about this, I asked them why I was supported these last few years and then all of a sudden they stopped. I was told I had to go on a subscription for my Adobe to continue to work. Then I informed them up until they decided to cut all of those who had bought CS6 from being supported that my registration key numbers were registered on my account with them, now it had been taken off – why??? they couldn’t answer me; they said there had been changes. So now I log into my Adobe account and there is nothing there. If my product wasn’t legit, I am sure Adobe wouldn’t have accepted the reg. key nor supported my product these last few years. I even had a computer crash and lost the hard-drive, and i had to ring Adobe to get authorization to put it on another computer, as you can only have it on 2 computers at that time. Kerry, we feel for you and have done some digging on your behalf. Unfortunately it appears you were sold an illegal copy by this purported reseller. How do we know this? Because we did some research and dug up an old page on their website where CS6 was being sold by them in 2013. You can see this page from the permanent Internet Archive here. Do you see how it says, “Adobe CS6 Design Standard MAC (Download)” and “Version: Serial number Only” and “*Product Key Only*”? That is the classic mark of an pirated or keygenned license being sold illegally. Except for Amazon fairly recently, NO other company has ever had the right to sell anyone “just an Adobe serial number.” Historically, ONLY Adobe ever had the right to sell CS downloads (i.e., without a box). And here are a bunch of other Adobe CS6 and Acrobat products which were being sold by them at the same time. All are the same type of scheme, which sadly we recognize from past experience seeing this kind of thing. If the reseller refutes this, then they need to show you documentary proof and incontrovertible evidence to back up their claims that what you were sold was legitimate (which by all visible indications, it was not). You also asked how you were able to still use the tools for several years without them getting invalidated? And then how they were suddenly flagged by Adobe fairly recently? See this related discussion for the answer on that. Sorry the news isn’t better. Regrettably, you seem to have been caught in the middle on this. Wish we could do more to help, but this is a between rock and a hard place. There appears to be inconsistencies in your response as to the facts when validated with information provided by the company from which the product CS6 was purchased. In addition your response doesn’t clarify why my CS3 version was also impacted by this situation as it is a ‘boxed version’ purchased through my local computer store who sourced this product from Express Data who was an authorized Adobe software wholesaler. I contacted Cubox and they have supplied me with their resellers identification number. If you checked the other pages of Cubox they also had boxed versions as well. I didn’t download to a standard Mac. It was Windows version. So does this mean my ‘boxed version of CS3 is also a ‘pirate’ copy?? I seriously doubt it. On my account at Adobe, these products with the keys have been removed from my account, when they were there only last year. We’ve been running this website for 10 years, and over that time we’ve seen many, many licensing questions – and what we can tell you is that we’ve never once seen a single situation where a customer was sold a Creative Suite “Product Key Only” by a non-Adobe seller and it was legitimate. To our knowledge, Adobe did not ever allow any third parties ever sell CS6 “Download Versions” or “Serial number Only” (without a box). It was a classic scam technique for software pirates. If you believe you have ironclad proof of the contrary, then you can take it to Adobe and see what they say. But it may well be that the vendor in question was both an authorized reseller for a time, and was still doing that on the side (because it was a lucrative proposition) – which could possibly explain why they stopped being a reseller. But there’s really nothing further we can do here. Simply put, it’s between you and the place you bought it from and Adobe themselves. Regrettably, we cannot change that. You might also try searching/posting your question on the Adobe Forums. I purchased CS6 from a private party. He said he would transfer ownership to me through Adobe. I can’t say Adobe was very helpful in this transfer activity, but over a short time the owner, Adobe, and I worked through the process and I have had no problem. Kerry, having been through both legit and private, I suggest you open the Photoshop CS6 and go to the “Help” menu at the top of the screen; when you click on it the dropdown, in the third section from the top should have Registration…, Deactivate…, Updates… If this group is “grayed out”, your software is pirated, and if they are black like the rest of the dropdown menu, you likely have a legal copy. If you purchased a pirated copy unknowingly and you received it through the mail, this purchase was “mail fraud” and is covered by Federal law. Depending on when you purchased the software, you may be able to sue the seller for Fraud (check your state’s statutes of limitation). Fraud in contract law is void ab initio (void from the beginning) and depending on your state, the Fraud may start when you learn of the act. Download New Adobe Captivate 2017 Release: Direct Links & Trials How to Increase Lightroom Performance – Get Free 47-Page eBook!